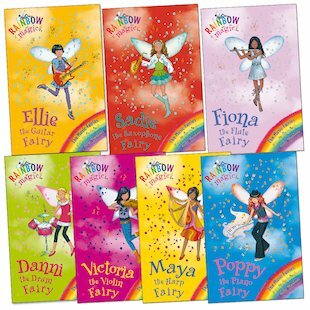 The Music Fairies love to play their magic instruments in perfect harmony. The melodies they make spread joy everywhere! That is, until Jack Frost’s meddling goblins sneak off with the fairies’ instruments, and everything goes badly out of tune. 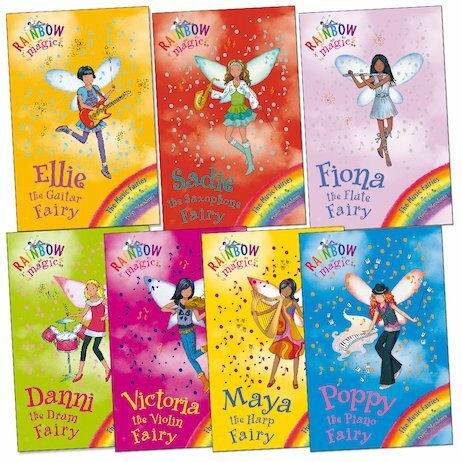 Now music sounds awful in Fairyland – and in the human world too! Can Rachel and Kirsty help the fairies out, so everyone can have some peace again? There’s a magic musical note to find in each story. Help the girls to find them all and keep the world full of music!